We have one last event today, here in Missoula, and then turn our attention to the Northern Cheyenne in Lame Deer, Montana. We are on the cusp of changing seasons, and we must focus and concentrate on the final phase of this journey. All along the route friends and strangers have greeted us, broken bread with, shared their thoughts and feelings, and celebrated the arrival of and the meaning of this totem pole. We have been moving from event to event (often twice a day ) so that it is easy to forget that we need to laugh together. 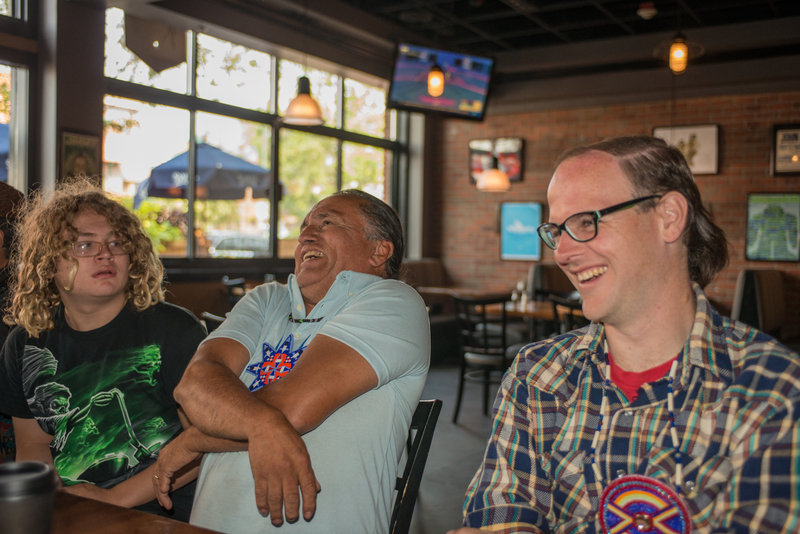 Yesterday after the Spokane event, Jace Bylinga of the Sierra Club took us out to lunch and the next thing we were all laughing at stories that Jewell told.